Antivirus and antimalware software is not a luxury; rather, it is a priority and a necessity. If you’re not already running security software on your device, be it a Mac, Linux system, Windows, or mobile device, it’s just a matter of time before you lose data due to a virus or a form of malware. For that reason, I urge you to download, at the very least, a free trial of antimalware software as soon as humanly possible to protect yourself. Some people think the most of a computer system is the CPU or a flashy monitor – but they’re wrong. The most important part of any computing system is the data, and leaving yourself vulnerable to an attack could cost hundreds of dollars with professional assistance, not to mention the headaches, irritation, and anxiety incurred as you try to recover your system. If you’re not sure which antimalware software to select, I recommend doing a little research first. Today, I’m going to compare two popular brands in the antivirus and antimalware industry: Zemana Antimalware vs Malwarebytes. To help you make the most informed decision, we’ll compare each component of the software, starting with price. Let’s take a closer look. I was happy to see that both services were extremely affordable. 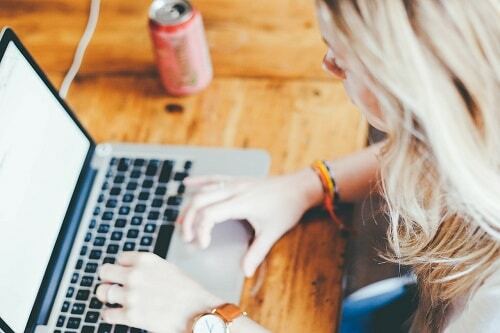 Antivirus and antimalware software is a crucial necessity in this data-driven age, and failing to protect your device with security software is just begging for trouble. Given that antivirus and antimalware software is so vital, I couldn’t believe that these providers cost less than other subscriptions, such as VPN and cloud storage services. The annual Zemana subscription only costs a couple of dollars per month, which is a drop in the bucket for most people. I did also want to take a moment to talk about free trials and money back guarantees. Both providers do offer a free trial version of their product, but as we’ll see in the next section, the free trials are very different. I was pleased to see that Zemana offers a 30-day money back guarantee. A 30-day refund term is pretty common among subscription services, and I would raise an eyebrow if a provider didn’t have one, but nevertheless, some providers don’t offer a guarantee at all. Likewise, Malwarebytes has a money back guarantee for new subscribers only. However, Malwarebytes has a generous 60-day money back guarantee, which surprised me. Zemana does have a free trial, as do most other antimalware and security software programs. As one would expect, the free version is little more than a watered down version of the premium version. Nevertheless, I was pleased to see that it had a functional and robust, if not complete, set of features. Essentially, the free version, which doesn’t require payment card information (only a username and email) is able to identify and remove malware from your system. Furthermore, it can detect attacks and bad scripts in a hijacked browser and remove them as well. Besides, it has the rootkit and bootkit detection and removal feature. The bottom line is that the free version is only able to find viruses and malware on your system and remove them when you manually run a scan. Still, I was impressed that Zemana offered so much functionality for free. I think the free version of Zemena is fantastic if you already have a virus and you know it. In the long term, Zemana isn’t a great tool for protection, because it isn’t full featured and can’t react in real-time to threats as they go through the process of infecting your system. 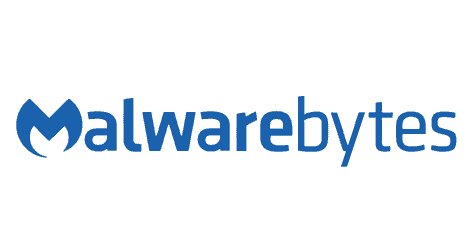 Malwarebytes’ free version also has the core functionality of identifying and removing malware and other types of advanced threats from a computer. However, there are two notable differences from Zemana’s free trial. The first is that the free trial of Malwarebytes does not offer protection against hijacked web browsers indefinitely. The second is that it offers a lot more features than Zemana. In fact, it is technically full-featured for 14 days. But after the 14-day limit, a lot of the features, including web browser security, expire. This was a tough call, and I feel like I’m splitting hairs. I think in the short term, someone who has a virus should opt for the Malwarebytes free trial. If you’re just using it for a couple of weeks as a Band-Aid solution, you might as well get the added benefits of ransomware protection, real-time protection, and more. However, if you just want to use a free version of the software indefinitely because you’re too price conscious to purchase a subscription, I would opt for the Zemana free trial, because it offers web browser protection. Now let’s take a closer look at the premium features. The premium version of Zemana includes all of the features found in the free trial and adds four more for good measure. The first of which is adware removal, which is always an appreciated and a needed feature. Additionally, it has the ability to protect against ransomware, which is a notable feature included in the free trial of Malwarebytes, albeit only for 14 days. Furthermore, Zemana allows for increased zero-day malware protection to protect your devices against the latest topical threats and adds 24/7 customer support for premium users. Do be aware that both the free trial and premium versions were specifically designed for Windows, which is both a positive and a negative. It’s positive because the developers were able to focus on securing one operating system to the absolute best of their abilities instead of spreading themselves too thin on multiple operating systems. But it is also a negative if you’re running Mac OSX or a Linux system. I know many people have the misconception that “Macs and Linux systems don’t get viruses,” but that simply isn’t true. While it can be said that the overwhelming majority of viruses and malware were written to attack Windows systems, Macs and even Linux operating systems are not 100% infallible – no code ever is. Still, I was pleased to see that Zemana was designed to run on all of the Windows version all the way back to Windows XP. There isn’t a whole lot extra with the paid version of Malwarebytes. Essentially, it’s the exact same as the free trial but there is no 14-day expiration encumbrance and users have access to technical support. Because the 14-day expiration limit is removed, Malwarebytes is able to provide full-featured security and can even block incoming threats in real-time. Naturally, both providers offer knowledgebases to assist users with the troubleshooting process. The beauty of a knowledge base is that it allows a user to find information without having to jump through the bureaucratic hoops of the support department and open a ticket. And I must say, both providers have better than adequate knowledgebases. However, I think I like Malwarebytes’ knowledgebase a little more for several reasons. While it is true that both providers offer great troubleshooting and setup guides with high-quality images, Malwarebytes simply has a greater quantity of guides in its knowledgebase. Furthermore, I like how many of the guides give users the option of HTML or PDF formats. I also found the Malwarebytes guides to be more accessible and easily navigable, though Zemana does still have good content. This is a really tough call because I think both providers offer a great deal of value and a mix of reasonable pricing as well as comprehensive features. I’m a little split regarding which service is truly better, and I think it’s a very conditional decision. I do, however, think that Zemana’s free trial is the superior selection for the long term since most of Malwarebytes’ free trial features evaporate in only two weeks. On the other hand, if you’re considering a paid service, I would recommend opting for Malwarebytes. The knowledgebase is a little better, the interface is a little sleeker, and it’s a tried and true antimalware service with a reputation for successful protection. CCleaner vs. CleanMaster PC: Which is Better? Malwarebytes vs Norton: Which is Best in 2018? Lastpass vs Keepass: Which Password Protector Service Will You Love?